If you have decided to take a look at my blog after receiving a ballot paper for the NUT Executive election, many thanks for taking the time to read further. There is obviously only so much that I can write in the few hundred words allocated to each candidate in the election address booklet. I hope the various posts on this blog will help explain what I stand for - and explain why I am asking for your support in this election. I am standing for election because, bluntly, the NUT's present strategy has failed to defend teachers and education. That doesn't mean that the NUT is to blame for the problems we face - that's down to the shared policies of all the main parties who have been responsible for Ofsted, SATs and league tables, privatisation and all the endless initiatives piled upon us (and upon our pupils too). But it does mean that we need a leadership with a strategy that can start to successfully respond to these challenges - and the even greater ones to come after the General Election. On pay, workload - and now on SATs - our national campaigns have lacked a clear direction. I will argue for clear campaigns, where the Executive goes out and builds support in schools so that we can take the collective action needed to defend teachers and education. For example, as one primary rep who had just heard about the restriction of the SATs ballot to just Heads and Deputies told me yesterday, "We need someone on the Executive who knows what they are doing - I'll be asking all my staff to vote for you". I have a long record of dedicated support for members and successful campaigning. 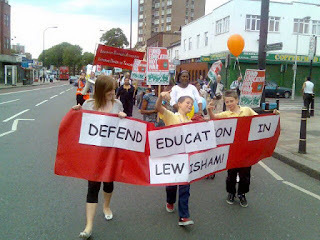 That has included battles against Section 11 redundancies, Performance Pay, opposing Academies (with my research quoted in the latest Civitas report on "The Secrets of Academies’ Success"), marches and rallies with parents against cuts and closures (like the one above through Lewisham High Street), for London Allowances - and many more. One of my proudest achievements was the successful defence of Alison Moore, a black teacher attacked by racists in her school grounds. We successfully encouraged Alison to stay in her workplace - where she still is today - and organised a huge rally of local people standing together against racism in their community. I am also proud of the dedicated support that I have given hundreds of teachers over the years, helping to win numerous cases and to defend members against allegations, capabilities, disciplinaries and so on. That individual work has also helped build Lewisham from the 900 or so members it had when I first became NUT Secretary to around 1800 today. Lewisham NUT is now a strong Association with consistently quorate meetings, a diverse range of members and committee officers, and always one of the best Associations in the country when it comes to turnout in action ballots. But I also know that there are real limits to what a Local Association can achieve alone. The present Executive strategy of fighting school-by-school on issues like workload just isn't good enough. 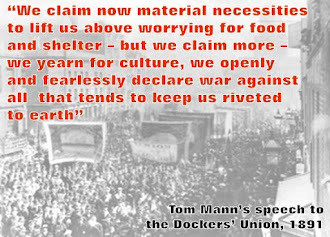 National issues need national action, bringing all members together so that they are confident to act. That's what I have successfully argued at the last two NUT Annual Conferences - but the Executive has still not implemented that vital policy. My election can strengthen those of us - like the supporters of the 'Classroom Teacher' newsletter (see web link on right) - that want to cut workload through national action. So please VOTE POWELL-DAVIES 1!